strongly encourage our program teachers to teach in these areas. 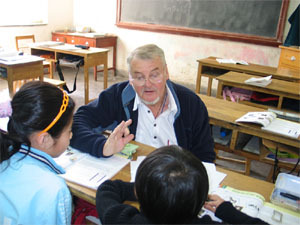 English teaching positions are paid. Do I Qualified For the Program? You will be assigned based on area need, your preference, skill and experiences. What Are the Benefits to participate in the program? How long is the teaching term? *Insurance can be purchased at a lower rate through affiliated network. Where does the program fee go? Submit your application today and let the journey begin! For more information about China, click here.